Drywall has not always been considered the “greenest” building material, partly due to the manufacturing process. While the materials that make up drywall are green, the process of producing it could use some improvement. 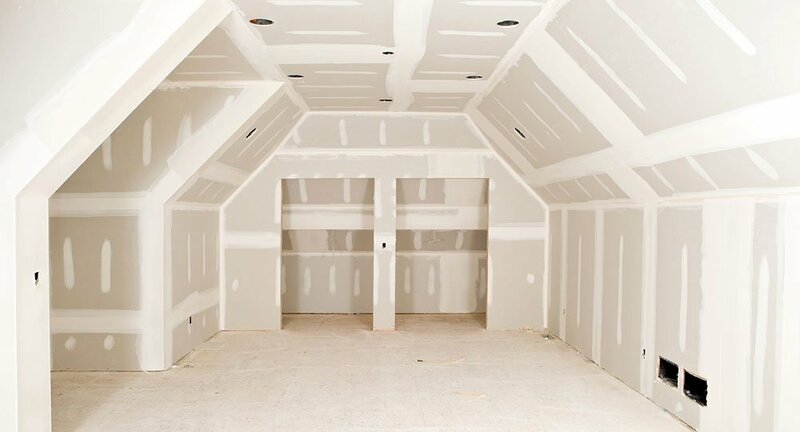 Drywall is the number three producer of greenhouse gasses among building materials, and approximately 1% of all U.S. energy emissions come from the production of drywall. Drywall manufacturers and suppliers are committed to innovating new product features and processes that help reduce drywall’s impact on the environment. Here are some of the ways drywall suppliers are working to improve the sustainability of their industry while creating products that perform their best and are built to last. Sustainability doesn’t only relate to the environment—it is also deeply related to human health and wellbeing. The buildings where people work and spend time contribute significantly to their overall health, and that includes the quality of the indoor air they breathe. CertainTeed has developed a gypsum board product called AirRenew that uses patent-pending technology to actively clean air. It works by capturing and transforming formaldehyde into inert compounds and never lets them reenter the air. The installation of AirRenew board along with good whole-building design and operation provides an effective strategy for sustainability through improved indoor air quality. When sources are available, many manufacturing plants are beginning to use synthetic gypsum, specifically FGD (flue-gas desulfurization) gypsum to make board. This enables beneficial use of material that would otherwise be landfilled and enables total recycled content of up to 99%. Green and sustainable building projects take effort and commitment at every level, from design to construction to operations. A commitment to green building begins with selecting the right materials, materials that support the goals for aesthetics, safety, durability, and sustainability.